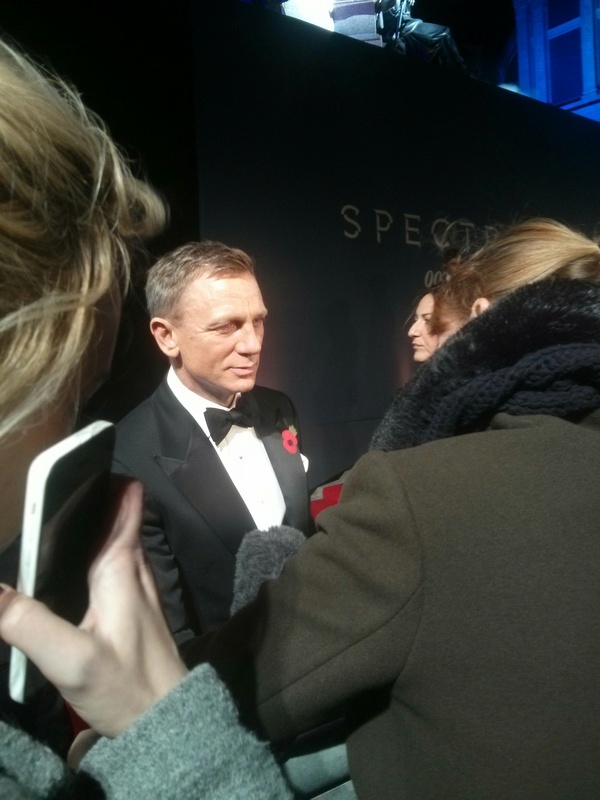 Tonight I went to the premiere for the latest James Bond movie Spectre – which was probably the biggest and most extravagant premiere I have ever been to. Oh my God, the red carpet was so long I couldn’t see the start, it was held at the fancy Royal Albert Hall rather than the regular Leicester Square and I have never seen so much talent for one film! Naturally, Daniel Craig was there but there were so many people there it was actually hard to keep track of who you had seen and who was still to come. There were so many people on the carpet that you couldn’t even spot the celebs! It was just insane. Honestly, the entire thing is a bit of a hectic blur cos everything seemed to happen at once. First of all. The all important cast – those in attendance were Naomie Harris, Christoph Waltz, Ben Whishaw, Lea Seydoux, Monica Bellucci, Sam Mendes, Ralph Fiennes, Andrew Scott, Dave Bautista, Stephanie Sigman, Jesper Christensen and Sam Smith. PHEW! It is hard to give my usual summary of how they were with the fans because the red carpet was so spread out, I didn’t actually see the fans! From what I saw on the TV, everyone was great but Daniel really stood out for me. The press line was huge, the fan pens were massive and I never thought he would manage to do it all (like most celebs at a small one in Leicester Square) but no, he powered through everybody with a smile and good humour. This was a pleasant surprise because I always expect him to be grumpy but he was on form and totally charming. After speaking to my press section, he told us to “keep warm” – he realised how cold we were, bless! He even told us to “huddle up to keep warm”. What a babe! It is hard to comment on anyone else as their appearances were so brief. Christoph did his usual sarcastic interview style that makes you uncomfortable, Lea looked incredible and was sweet and Monica just oozed glamour. This is premiere was total madness but I feel privileged to have been there, especially as the royals Kate and Prince William and Prince Harry came along too! Wasn’t sure if I should bow in their presence! 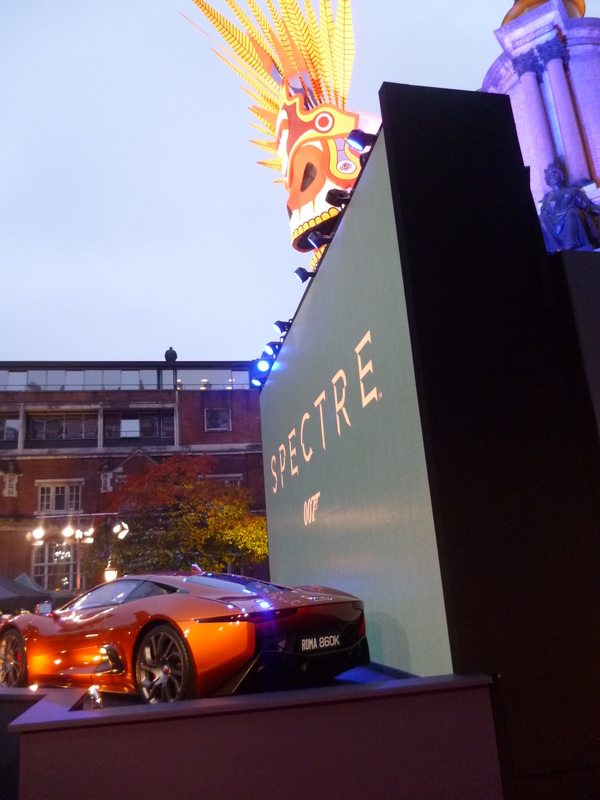 Spectre is released today and you can see my review here. To understand how manic it was, check out all my pics below (the most I’ve ever produced from a premiere!) Enjoy!